Project X is a new generation guided/group reading programme especially designed to appeal to boys and help raise reading standards for all pupils. 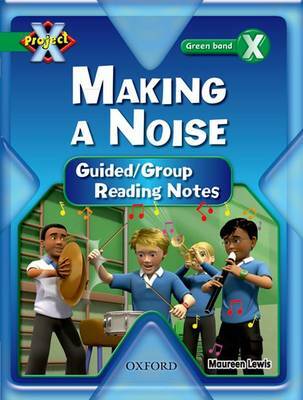 Providing step-by-step guided reading support for each book in the Making a Noise cluster, these notes also offer guidance about comprehension, assessment for learning and vocabulary enrichment. Hands-on follow-up activities and cross-curricular links are also provided for each book. The notes are available free with the book packs - or separately.